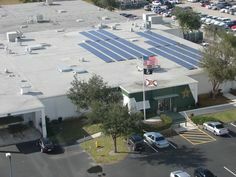 You may have seen my recent post on how Florida utility companies are trying to spin the argument against Netmetering, the method by which millions of solar energy systems interconnect with the utility grid. The gist of the argument is that people who use less energy shift the cost of the grid’s infrastructure onto others. Of course, they don’t say it that way, but that is, in fact, what they are saying. 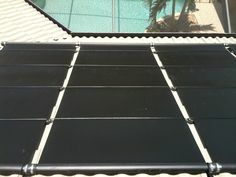 I installed a solar water heater at my home yesterday. This solar energy product does not produce any electricity. It heats (or preheats) water to reduce the amount of energy used by an electric or gas water heater. It is not connected to the electric grid. All it does is makes your existing water heater use less energy. In fact, the electric element in my new solar water heater uses the same amount of power as my old non-solar water heater (4,500W). It just turns on less often. What does that mean from the utility company’s perspective? Because I can and occassionally will use the same amount of power as my non-solar neighbor, the utility company is still obligated to plan for this demand. They have to build and maintain power plants and run electrical lines to my home. Their costs to service my home are the same – they just produce and deliver less energy to me, and I pay them less each month. So why is there such outrage from the utility companies about solar electric systems being Netmetered, but no complaints about the thousands of solar water heaters installed every year? 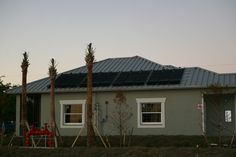 In fact, many more solar water heating systems exist in Florida than solar electric systems. The same thing applies to energy efficient high-SEER rating air conditioners, LED lighting, high R-value insulation, duct sealing, and other energy efficient home upgrades. These all (according to utility companies) shift the burden of maintaining the electric grid to other ratepayers. It seems that the utility companies have made a disingenuous argument against solar electricity! So why are the utility companies lobbying legislators and the Public Service Commission to eliminate or change the current Netmetering laws without taking aim at these other “unfair” solar and efficiency upgrades? Simply because they can’t. Florida’s laws are geared toward allowing utility electric companies to have a monopoly on selling electricity in the state. Notice that I did not say they have a monopoly on producing energy — just selling it. State law already gives utility companies the sole privilege of selling electricity, except for the pesky Netmetering rule that allows individuals the right to offset their own electricity use and “sell” excess energy back to the utility grid. They can’t touch energy efficiency. They can’t make you use more energy. In fact, they put on a good show and tell you how to reduce energy in their emails and bill inserts. They are okay with you using less energy – as long as you can’t buy it elsewhere. Netmetering is necessary because excess power produced by solar energy systems cannot be economically stored using current technology. Manufacturer’s of grid-interactive solar energy equipment depend on the fact that excess energy produced in any given solar electric system can be used by other interconnected customers on the electricity grid. In a big way, Netmetered customers rely on the electric grid to have a place to “store” the excess power produced at some times of the day. It’s true that once solar reaches a certain saturation point on a local utility grid that there will be nowhere to store excess energy produced at times. However, Florida is nowhere near that point, with other states nearing 50 times the relative production capacity that Florida currently has. In those states, utility companies have a more reasonable, practical, and logical argument against additional Netmetered customers. Fair enough… there is probably some middle ground that will be reached in this debate. Arizona recently saw it’s new Netmetered customers hit with a monthly charge based on the size of the system installed. Smaller cooperatives and municipal utilities have successfully implemented higher base customer charges for Netmetered customers (our local Coop, LCEC, has a slightly higher, almost negligible customer charge that impacts some Netmetered customers). However, one thing is certain — Florida utilities are spinning the debate in a disingenuous way, trying to convince you that installing a solar electric system is hurting your neighbors. The fact of the matter is that installing a solar electric system is not much different than your neighbor diligently turning his lights off when he leaves a room. I should mention that this is a nationwide attack. Wisconsin is going through the same thing now. You will be penalized for using less energy if utilities get their way. Multiple studies not concluding that the actual value to utilities of distributed solar, when accounting for all hard and soft benefits, is around 17c/KWh. This is well in excess of the net metered value that the installing customer receives which averages around 12c/KWh. The utilities get to capture multiple benefits including offloading of lines during peak periods and deferral of infrastructure upgrades when DG penetration increases.